These days, it is actually to DIY (do it yourself) just about anything you can think of, whether furniture and items you can use at home or decorations for events and special occasions. You’ll find a lot of ideas on Pinterest and social media. But when it comes to weddings, you certainly want to showcase the best decorations your budget can buy, right? 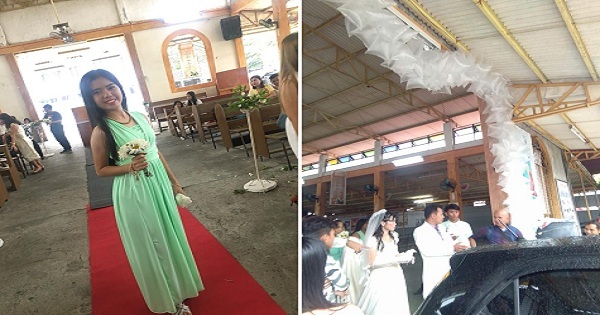 In Bagong Silang, Caloocan City, a woman was furious after attending her brother’s wedding, only to find out that the decoration they paid Php5,000 for turned out to be much worse than they expected. 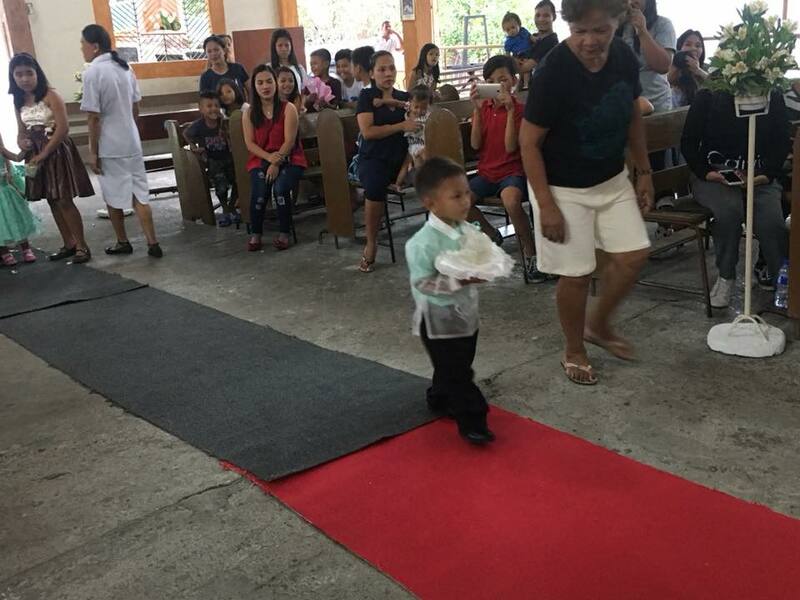 While they didn’t set their expectations high for the Php5,000 worth of decorations which was aside from the Php2,000 they paid the church for the wedding ceremony, Estela Puso expressed anger that the place looked bare. 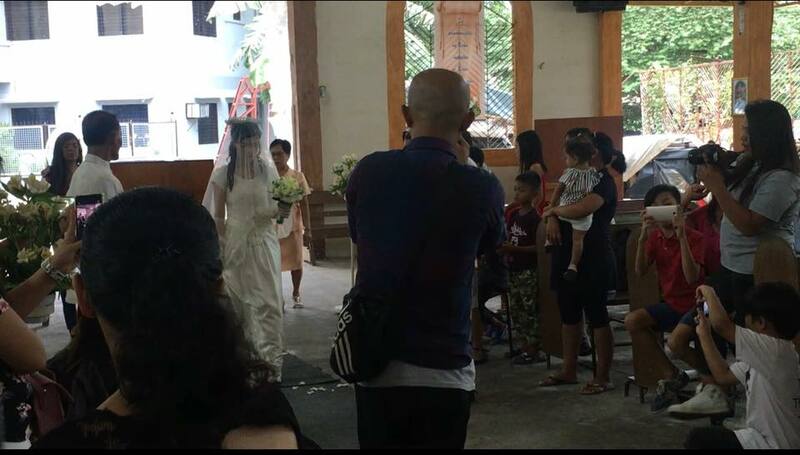 After she shared the photos on social media, many netizens couldn’t help but laugh over the hilarious arch at the entrance. 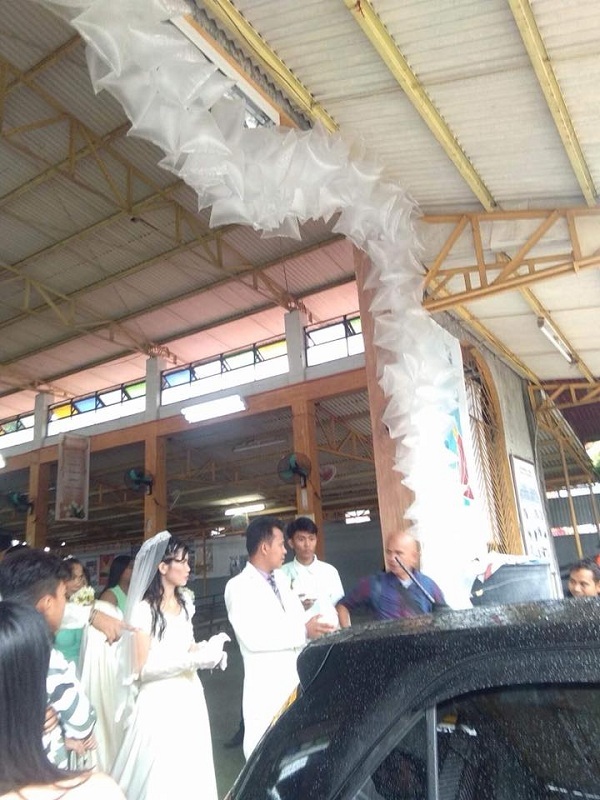 Indeed, Php5,000 is cheap by wedding standards but can you imagine getting an arch made of fake balloons created from plastic ‘labo’ bags? LOL. The rest of the church was as dismally decorated as the entrance, Estela revealed. The altar did not have any decorations while the aisles might have been decorated with flowers but she claimed those actually looked like scraps that one can buy from Divisoria. What made her feel really bad is that the guests had dressed up for the occasion but the place was so dismally decorated. Even the carpet used for the wedding looked askew with the event, with one part in red and another in a different color. It makes you wonder whether the church didn’t really bother to buy one that would cover the entire aisle length in the same color! Even with their Php2,000 ceremony payment, they were told that they had to provide their own reader. This angered Estela who said she went to the ceremony as witness, not to become the church’s staff. She accused the church of making weddings and other church events (baptisms and funerals) as money-making schemes.